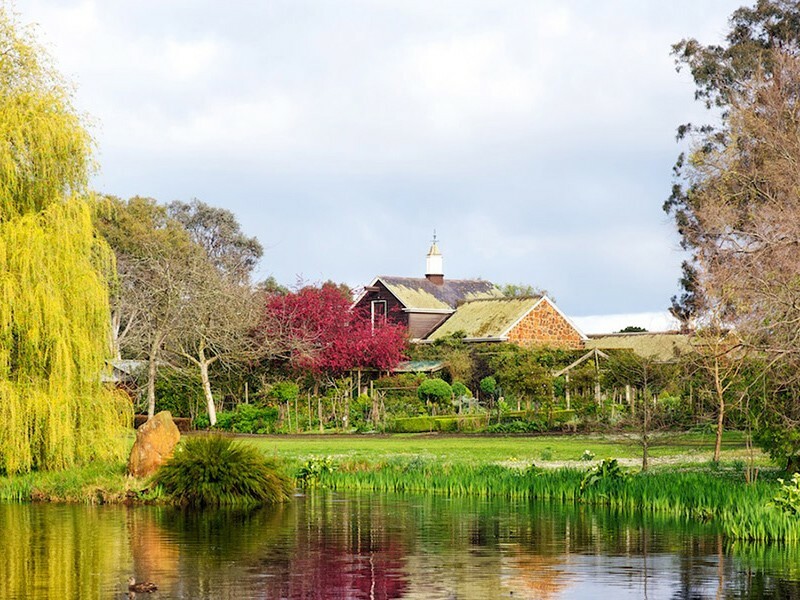 As the former owner of the property, Dame Elisabeth, the mother of media magnate Rupert Murdoch, died aged 103 in 2012, left the historically significant Cruden Farm in Langwarrin in the hands of trustees - namely her two daughters, granddaughter and accountant. Now these trustees want to slice a 14.6-hectare ‘wedge’ off the 133-hectare property (or about 11 percent of the total land size) in order to sell off 116 house plots – subject to a rezoning. While the Victorian planning minister is the only one that can order a rezone of the land, situated some 56km south-east of Melbourne’s CBD, the news of the potential rezone has set emotions racing across greater Melbourne. Given to Keith Murdoch’s 19-year-old bride, Elisabeth Greene in 1928 as a wedding present, according to historians, Elisabeth loved the property at first sight and soon engaged leading design professionals to revitalise the modest weatherboard cottage and old-fashioned garden as a weekend retreat suitable for her growing family. Dame Elisabeth died in 2012 aged 103, and while many thought there were firm instructions to maintain the status quo in relation to the $10 million property, according to Frankston Council, some 14.6 hectares have been identified as being ‘surplus to the main estate’, opening the door to sale to developers. According to Barry Ross, secretary of community action group, Defenders of the South East Green Wedge, if even a small part of Cruden Farm were to be sold off, it would in his own words, set an “appalling precedent”. However, when asked whether the Victorian government will be amending zoning laws in relation to Cruden Farm, a spokesperson for the minister for planning Richard Wynne gave an emphatic ‘no’ in response.